In the late spring and early summer here in the Pacific Northwest, you’re bound to notice a certain delicate golden-blossomed plant growing along the roadsides. It leans out over the shoulders of highways, bristling with slender green stems that rustle in the wind that’s stirred by passing cars. When the afternoon sun catches the tiny asymmetrical flowers, it’s as if a bit of that sunlight has coalesced among the shady undergrowth, drops of golden-petaled light clinging like dew to the stems of this graceful plant that lines the edge of the forest. This same beauty can transform an entire hillside meadow into a sea of aureolin sunshine, rippling in the breeze. When I first moved to Seattle, I was enchanted by this lovely plant. Modestly nondescript during the first few wintery, rainy months I’d spent in the city, this evergreen shrub suddenly revealed itself with the warming spring weather, a fresh reminder of bright summery days to come. It seemed to be everywhere. In fact, that was exactly the problem. This plant — Cytisus scoparius, commonly known as Scotch broom — was originally a native of western and central Europe, first introduced to the pacific coast of North America in the mid-1800s as a garden ornamental. But despite its delicate appearance, Scotch broom is a survivor, embodying the same hardy, pioneering spirit as those early settlers who brought it to the sunny coasts of California. Able to establish itself in disturbed and nutrient-deficient soils, it often outcompetes other native plants of the Pacific Northwest, spreading quickly to dominate the landscape. A single plant can live for 20 years, its growth limited only by low temperature or drought, each year producing more than 12,000 seeds which can lie dormant in the soil for up to 30 years before germinating. Give Scotch broom an inch, and soon you’ll have miles of its dense stands invading the landscape, elbowing out natives like snowberry, currants and woods rose, smothering the seedlings of red alder and douglas fir, preventing reforestation and greatly reducing biodiversity. 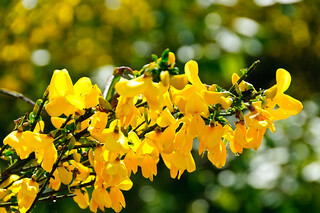 Scotch broom is a quintessential example of what’s known in ecology as an invasive species: a non-native plant or animal that has invaded a bioregion, dominating the landscape and harming the balance and biodiversity of the local ecosystem. Many invasive species were first introduced by humans. Some, like Scotch broom, were cultivated for their aesthetic beauty or for utilitarian purposes (fast-growing and hardy, Scotch broom was also used to prevent erosion and stabilize banks and sand dunes along newly built roadways and in other areas). Others were brought along as domesticated animals, livestock or pets (such as the bullfrog and burmese python in the United States). Sometimes, as happened with the starling in North America and the rabbit in Australia, European immigrants intentionally introduced non-native animals into the wild, hoping to bring a “touch of home” along with them to the lands that they colonized and conquered without any thought to the potential impact on the local ecology. Still other species are introduced by accident, as stowaways, pests and parasites that quickly spread when not kept in check by their natural predators. Given how harmful an invasive species can be, it’s tempting to see them as wholly bad, the “enemy” of a healthy ecosystem that needs to be eradicated. Yet our attempts to purge an ecosystem of invasives can end up causing new problems. Chemical pesticides and herbicides may lead to increased pollution that affects natives as well as non-natives. Attempts to control invasive populations of plants through weeding or clear-cutting can disrupt the soil and surrounding landscape in ways that only exacerbate the damage and encourage the invasive growth, while the hunting of invasive animals may play havoc with stable populations, potentially provoking further dispersal of the invasive species, spreading disease or increasing the likelihood of dangerous encounters with people in human-inhabited areas. Like many things in the natural world, our relationship with invasives is complex and ever-evolving. Throughout the long history of our planet, species have migrated from place to place, shaping the ecosystems they encounter and being shaped by them in turn. The processes of nature tend towards a dynamic balance, with everything from weather to predator-prey relationships working to keep resources cycling through the ecosystem. We humans tend to assume that the way a landscape looked when we first encountered it is “the way it’s supposed to be,” and we’re quick to judge changes as either good or bad according to our own time-scale, often simply because we lack the knowledge or experience to take a longer view. When we stop to acknowledge the complexity and ambiguity of our relationship with non-native species, we’re much less likely to throw ourselves into foolhardy schemes, hell-bent on their complete eradication. Instead of seeing ourselves as landlords with the authority to decide which species should live and which should die, we can change our attitude to one of attentive partnership with an active, vital natural world whose very strength lies in its diversity and creativity in overcoming imbalances and restoring health and harmony. Once we begin to see ourselves as part of nature and participants in natural processes, we realize that we can be part of the solution, helping to correct the imbalances that we originally introduced. The truth is, invasive species can potentially be great allies, if we take the time to learn how to befriend them. Developing a personal, spiritual relationship with a problematic species can open our eyes to the nuances of living in better relationship with it. When we can appreciate the intrinsic value of a plant or animal and see its many positive qualities — its beauty, flexibility, tenacity or quick growth, for instance — we open ourselves up to new ways of transforming those qualities from challenges or problems, into opportunities. For example, some conservationists have already started to point out the benefits of using abundant, hardy invasive species as potential low-carbon, local food sources, an approach that could keep populations in check while also addressing the problems of industrialized factory farming. In places like the Niger Delta, where the water hyacinth threatens to choke off rivers and jeopardize the livelihoods of local subsistence communities, projects are underway to transform this stubborn invasive into a cash crop that artisans can harvest sustainably and weave into biodegradable household items, restoring the floundering riparian ecosystem while lifting families out of poverty. 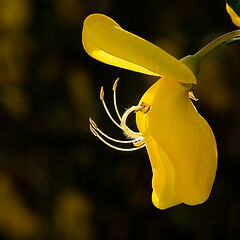 The same is true even for the graceful, tenacious Scotch broom and other invasives in my own local landscape. Efforts to restore the natural, native ecosystems in Seattle city parks include not only native tree-planting events for school kids, seniors and weekend volunteers, but seasonal activities where invasives are weeded out by hand and turned into useful resources for the entire community to enjoy. In the winter, invasive evergreens like broom, ivy and holly are harvested and turned into biodegradable wreaths and other holiday decorations to last through the drab rainy weeks. And as summer approaches, the city parks host ice cream socials, where folks from the local community gather to pick invasive himalayan blackberries fresh from the bush and turn them into delicious, homemade ice cream to share with friends and family. Such events not only help to keep these non-native populations in check in the local parks, but they provide opportunities for people to gather together and celebrate the seasons in a direct, hands-on way. For modern Pagans seeking to live an embodied spirituality grounded in the sacred land, invasives are powerful allies in coming to terms with our own ambivalent role in the ecosystems we inhabit, and the possibilities and choices that lie before us. Too often our modern society encourages us to see nature as fragile and untouchable, and humans as the worst intruders of all. Befriending invasives can teach us valuable lessons about how to be respectful, loving citizens of the planet that we call home.